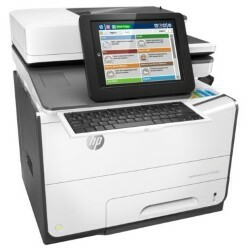 Save with our compatible HP PageWide Enterprise color Flow MFP 586z ink cartridges and cut your printing costs in half. These printer cartridges will provide consistent results for all your documents and perfectly replicate your work onto the page after a simple installation process. As part of our commitment to providing high quality and cost-effective products, we test each ink cartridges for HP PageWide Enterprise color Flow MFP 586z printers for performance and is guaranteed to work with your printer. We offer a 100% satisfaction guarantee with all printer ink and toner cartridges.